Sept. 15 through Oct. 15 is National Hispanic Heritage Month, a traditional observance in America since the late 1960s. With the month coming to a close, the UO is holding the third annual Hispanic Heritage Month Celebration on Oct. 12 in the Gerlinger complex. The event begins at 10 a.m. and lasts throughout the evening. It is free and open to the public. This year, the event kicks off with a soccer tournament on the Gerlinger Field Green led by the Springfield Soccer Liga Unida, speeches by members of the UO administration following the games in the Gerlinger gym, folkloric singing and poetry reading, an open dance floor and other entertainment throughout the afternoon. Birria, a Hispanic meal similar to spiced beef stew, will be served along with the traditional rice and beans. 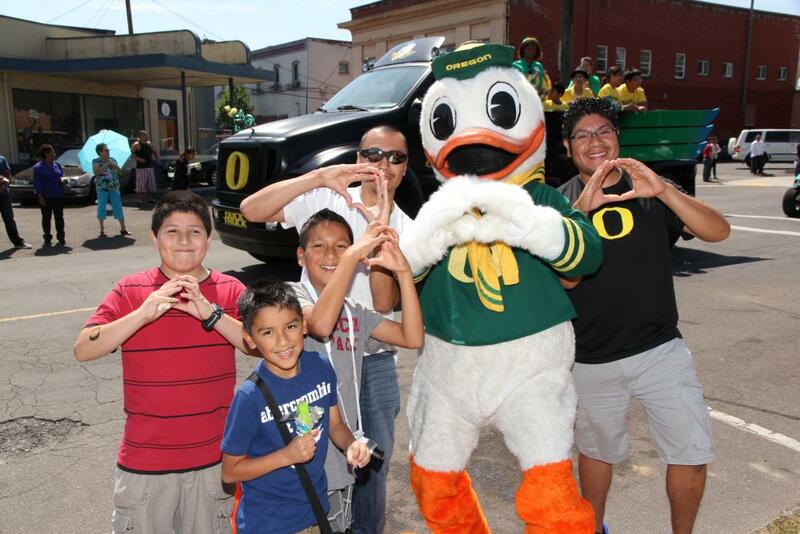 The event is tailored to families of UO students and Latino families in the Eugene-Springfield region. Many families, Huerta said, might have lived in the area for several years but have never come to the UO campus. This celebration is meant to show the Latino community how welcoming the UO is to minority students, he said. Huerta said he has received enormous support from the university and members of the community. He is organizing the event with the help of several departments from the UO, along with Jessica Zapato of the Eugene Arte Latino program and members of the Springfield Soccer Liga Unida.